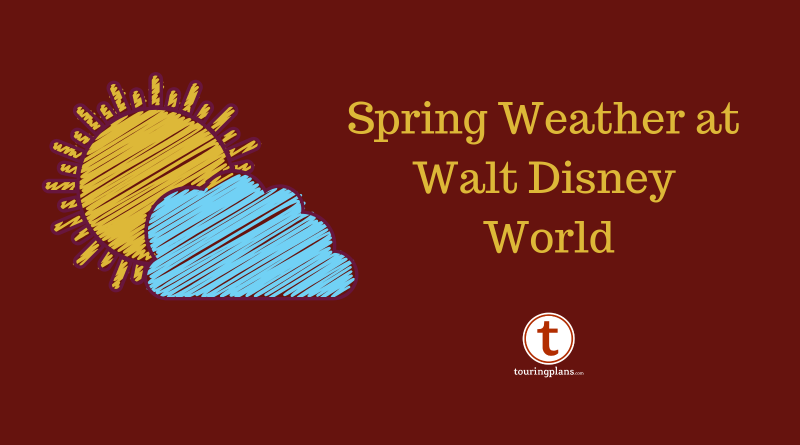 Whether you’re hoping for some pool time, or you’re trying to decide if you’ll survive a full day of theme parks in the Florida sun, trying to figure out spring break weather in Orlando is probably part of your planning process. The fact is, just about anything can happen! With spring break falling across March and April, you’ll be visiting central Florida during some of its most unpredictable months, weather-wise. Here’s what you can expect, and what you’ll want to pack, for a spring break vacation in Orlando. 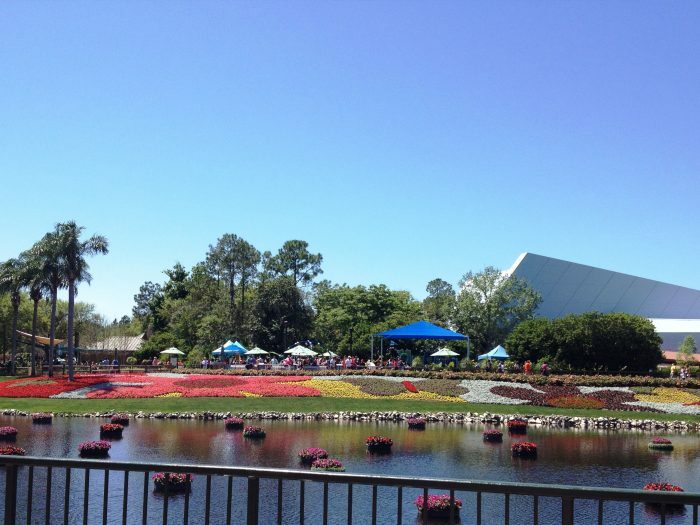 Look up the average temperatures for March or April in Orlando, and you might think it’s a pleasant 78 degrees Fahrenheit all spring long. The reality is a little warmer… and more changeable. Hot days, with the mercury hitting 90 degrees, are not unusual. Cloudless days and stunning blue skies are a hallmark of Florida in spring – but they can get hot in a hurry! The truth is, average temperatures only give you half the story, so most of those vacation weather pages aren’t giving you a realistic picture of spring break weather in Orlando. If it’s 85 for four days in a row, then a cold front blows through and keeps the weather in the chilly 50s for two days, the average will tell you every day that week was lovely. Your rapid changeover from swimsuit to sweaters, however, will tell a different story! In real life, you can expect a zig-zag of temperatures throughout March and April. The record high temperature for Orlando in March is 97 degrees… but the record low temperature? It’s 25. When packing, plan park outfits that take temperature swings into consideration. Even a warm day can call for a layer later in the day. With dry spring air in place, the temperature can drop 20 to 30 degrees from the daytime high to the overnight low. That late-evening and early-morning chill takes many people by surprise, giving some serious bonus sales figures to any Disney gift shop which sells their notoriously expensive sweaters and hoodies. If you’re having a lovely, 72-degree day at Disney’s Animal Kingdom, remember to grab a hoodie or a long-sleeve shirt before you head out to a late night at Magic Kingdom, or you might be picking up some souvenir jackets you didn’t budget for. Fun fact: Some of Florida’s most damaging and dangerous storms occur in spring. “But hurricanes!” you’re thinking. And you’re right to think so, because hurricanes are big deals. But spring cold fronts, which sometimes whip through central Florida with a squall line of severe storms, can bring lightning, flooding rain, hail, and even strong tornadoes. 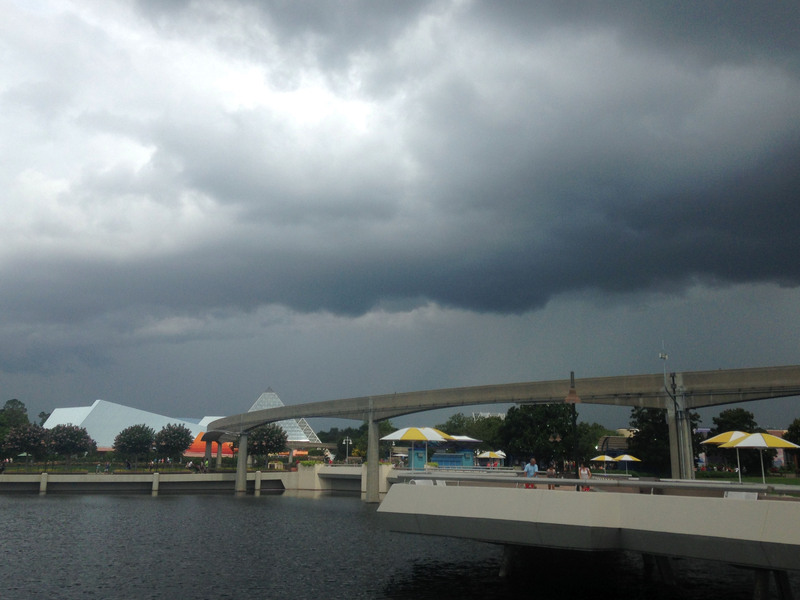 The effects of these storm fronts can hit your theme park days in surprising ways. If you see this sky, you’re about to get wet. While Walt Disney World has never reported a hit from a strong tornado, it’s easy to be prepared. Your smartphone will warn you if there’s a tornado warning for your area (and so will everyone else’s smartphone, so you’re going to hear a lot of emergency tones all at once). If you get one, don’t panic. Read the warning to find out exactly where the tornadic activity is, and where it’s heading. If you don’t know the area well enough to recognize local towns and landmarks in the report, be sure you’ve already downloaded a weather app that shows moving radar images and warnings. Then, go inside a building to wait it out. If you’re in the parks, Cast Members will be happy to assist you with finding a safe place. Remember that a tornado warning means a tornado has either been seen by a trained weather spotter, or that radar has found a tornado signature within a severe storm, so even if you don’t see a funnel, you might still experience strong winds, heavy rain, and hail. Inside is safest, even if the warned area seems several miles from your location. These storms can move quickly. The heavy rains from a squall line typically fall quickly before blowing out, although occasionally a front will stall over the area and it will rain for a day or two. In recent years we’ve seen ankle-deep flooding hit Magic Kingdom after a sudden heavy rain. Pack an extra pair of shoes… and a poncho! Rain can sometimes stick around with light, passing showers for a day or two. Overall, the later into spring break season you travel, the more tropical Orlando will feel — especially if you’re from a more moderate climate. The biggest difference between spring and summer in Orlando is the changeability, with a change in the weather pattern every few days. You can arrive to the 80s and sun, get a quick blast of storms and rain, shiver through a day in the 50s, and then see the temperature climb into the 70s again. So what’s the answer to “is it hot already?” Well, that depends on your definition of hot. But chances are, the answer will be “yes,” — at least for a few days of your vacation. One thing we can say about spring break weather in Orlando… it’s rarely boring. 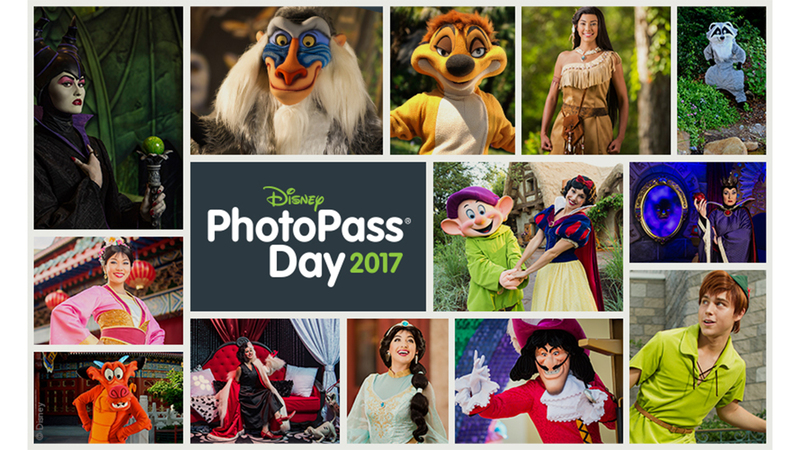 I am a writer, travel planner, and former Disney Cast Member with a passion for all things Disney. I also blog at ThatDisFamily.com: family living with pixie dust! A Floridian in New York City, I am usually cold and visit WDW to warm up whenever possible.